The character previews from the upcoming Battle For Xilos book for Beyond the Gates of Antares continues from Warlord Games. No, it's not another look at Fartok. (I know you're all disappointed) No, this time around it's Amano Harran, Oszoni Freeborn Mercenary Captain. Amano is a sort of "Robin Hood"-like figure in the game. He left his home of Vardos and created a mercenary group that was well known for their various, heroic raids. The riches gained from those raids weren't horded away. Instead, they were freely spent, meaning that everyone got their own share in the end. In combat, Amano has a quick hand with his custom dueling pistols. Whenever he makes a ranged attack, he can attack twice. 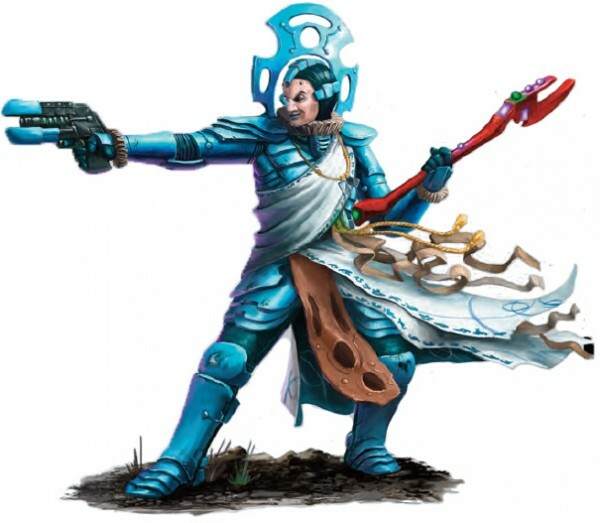 He also has quite a charismatic aura, forcing enemy models/units to take command tests in order to perform an action, even if they don't have any pin tokens.